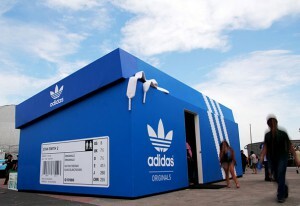 Above is a Adidas pop-up store. No more stores, no more malls, no more pop-ups??? Can you imagine what that will look like? By 2025 physical stores as we know them will no longer exist. A new study has reaffirmed Millennials’ significant role in disrupting the shopping experience, and the need for retailers to become omnichannel to stay relevant. Printed at home with our 3-D printer? I’m ready are you? Hello, am also using the HP printer. This blog is really very interesting to read, thanks. While printing my document I feel some issues, then I referred https://www.123hp-printer-support.com/ which solved my problems.